the audi q7 got stuck in the beach sand (but does not have proper tires) these people were driving there car on the beach while i was on vacation, so i thought i would film it. 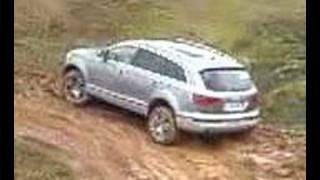 Тест драйв Audi Q7 Quattro. Полный привод в лесу. Он справился с поставленной задачей.